We were reflecting back upon our time in Germany and how much we enjoyed the local beverage of Frankfurt. 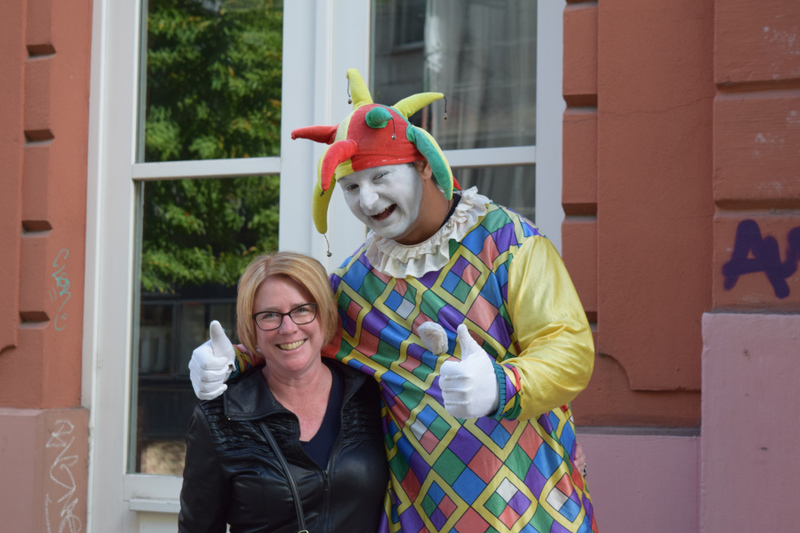 As we toured through the old city, called Altstadt in German, we came across a wonderful little festival that is going on through next weekend. Besides the food vendors and vendors selling art, clothing, and souvenirs, there were also booths for wine and even better, Apfelwein, or apple wine. It isn’t actually a wine, but is actually a hard cider fermented from pressed apples. Unlike hard ciders that you find in the United States, this wasn’t as fruity, but rather more like a mild beer and quite delicious. It is always served in a lattice-patterned glass called a Gerippte and for larger groups you can get blue and gray pitchers called Bembels. 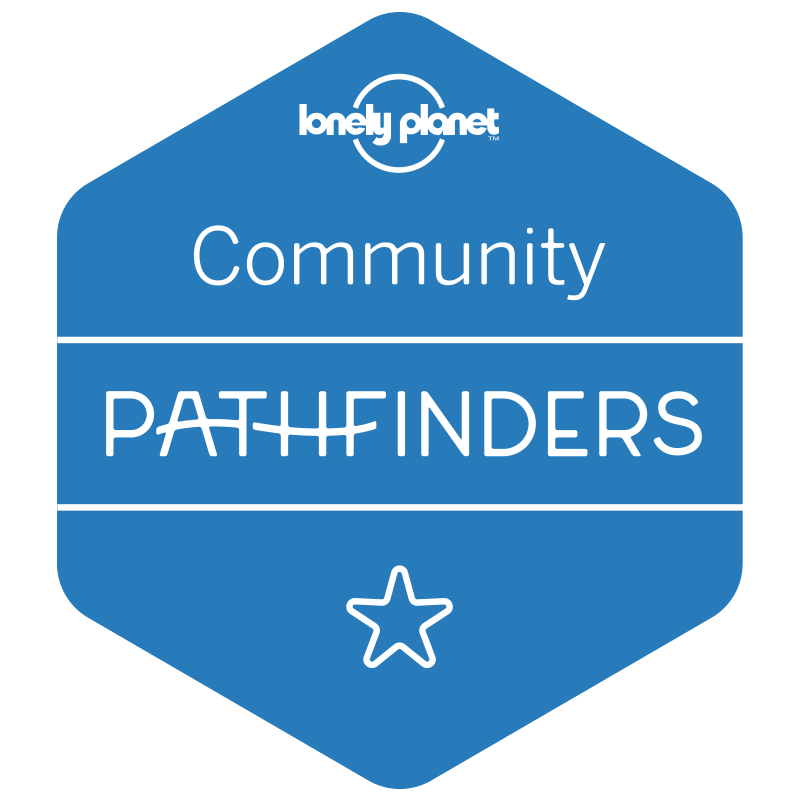 This entry was posted in Germany and tagged apple, culture, explore, Food, Germany, photography, travel, wanderlust, wine, winter. Bookmark the permalink. 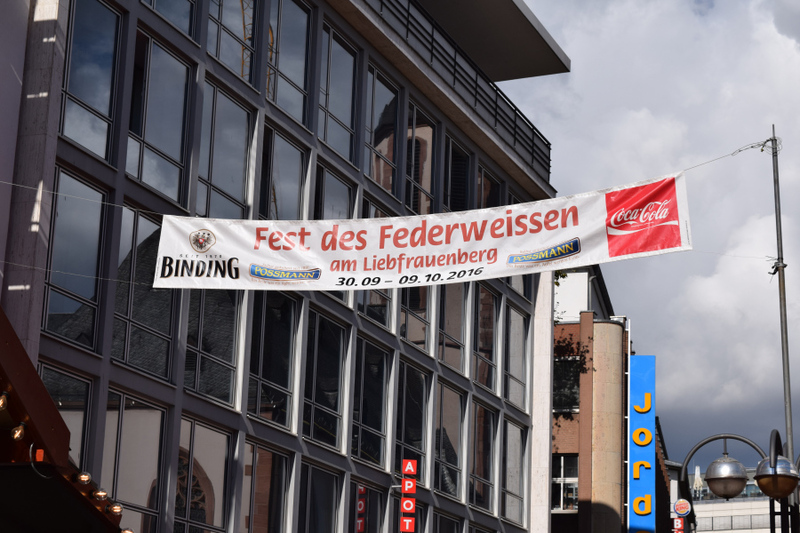 Interestingly the sign says it’s the festival of Federweisser, which is actually made from grapes, and is fermented grape juice – it’s also very variable in strength (anything from 4% ABV to 14% ABV to “oops”! It comes in containers that must not be tightly fastened. If you put the lid on too tight or you bang the container into something it’s good odds it will explode, because the juice is still fermenting. 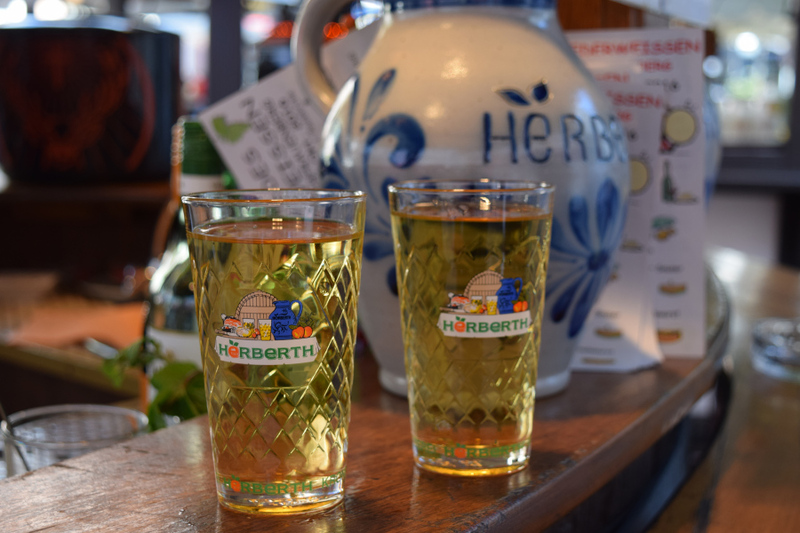 We love Apfelwein, one of those unique German drinks that no-one else does as well as they do. It’s powerful stuff.